We had booked over the Internet to stay at the Camelot Hotel. But the taxi driver had never heard of it, and neither had any other taxi drivers. Eventually our driver decided we were close, and rang the phone number we had. Nina was on the scene within minutes, furious that these people said they had never heard of her hotel. 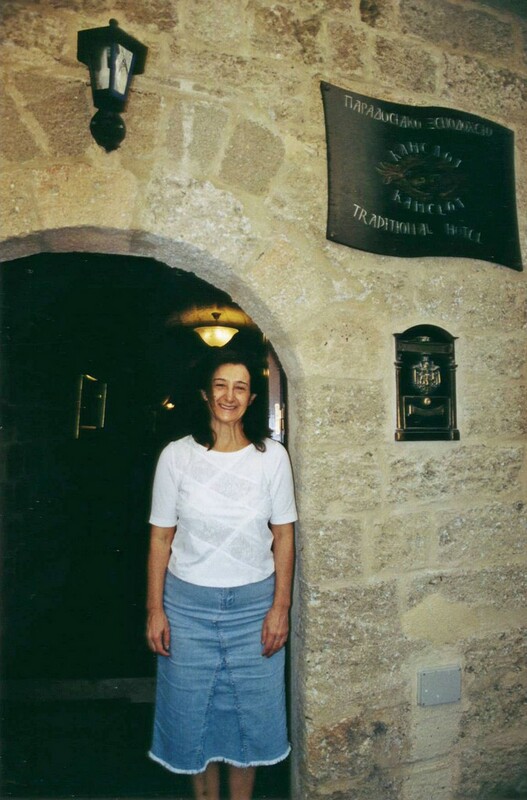 This is Nina, at the front door of her hotel. 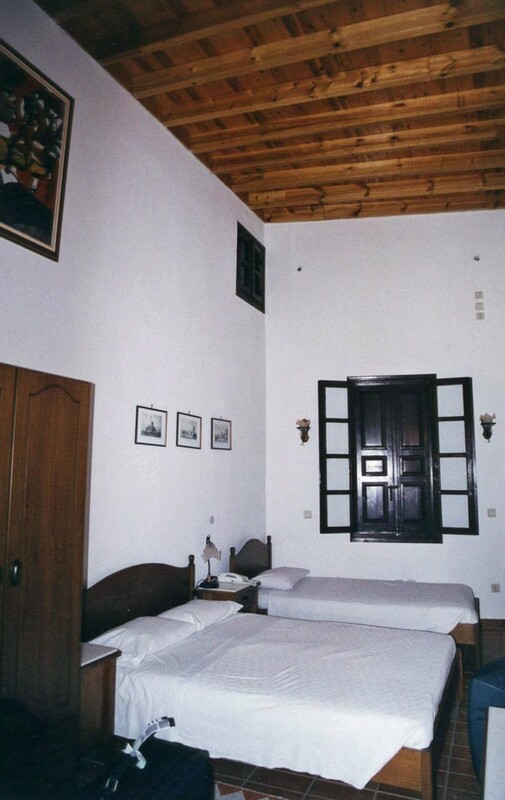 It is perhaps understandable that the hotel was not well-known. It was quite new, and had only three rooms. This was our room. 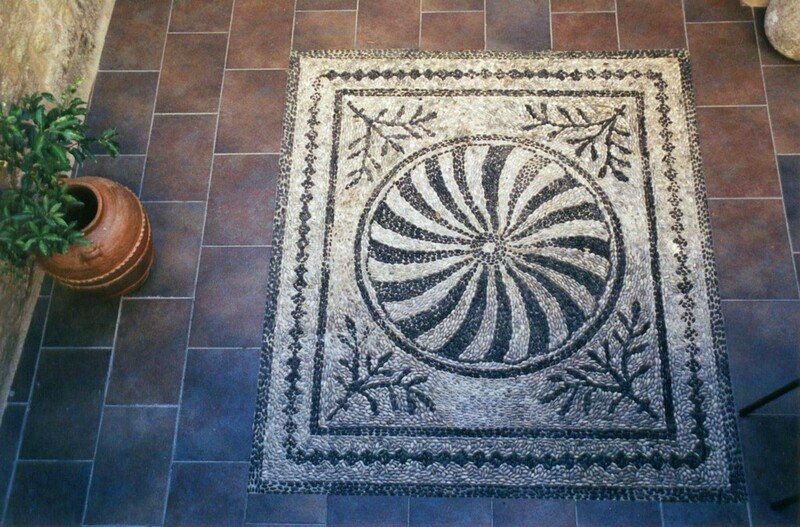 Pebble mosaic in the interior courtyard where an excellent breakfast was served. 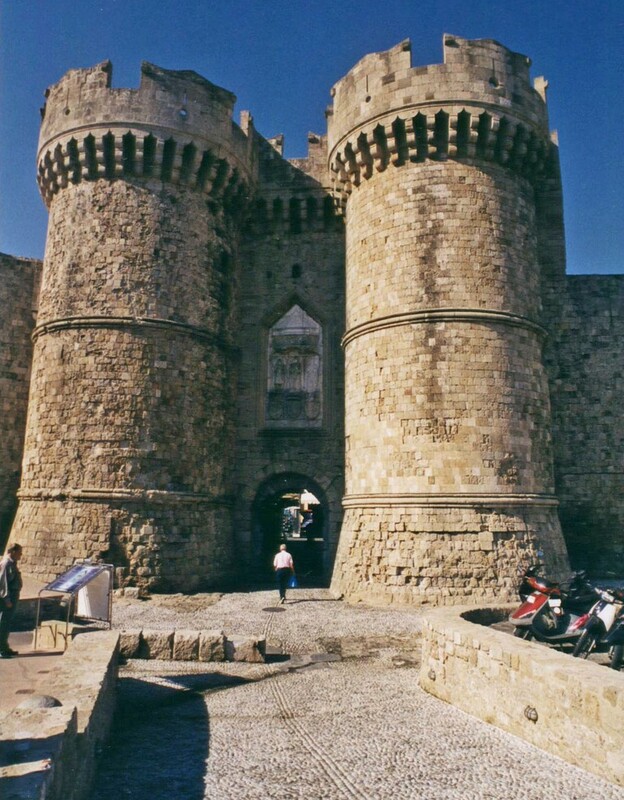 Rhodes Old Town is still a walled city. This is the Marine Gate. 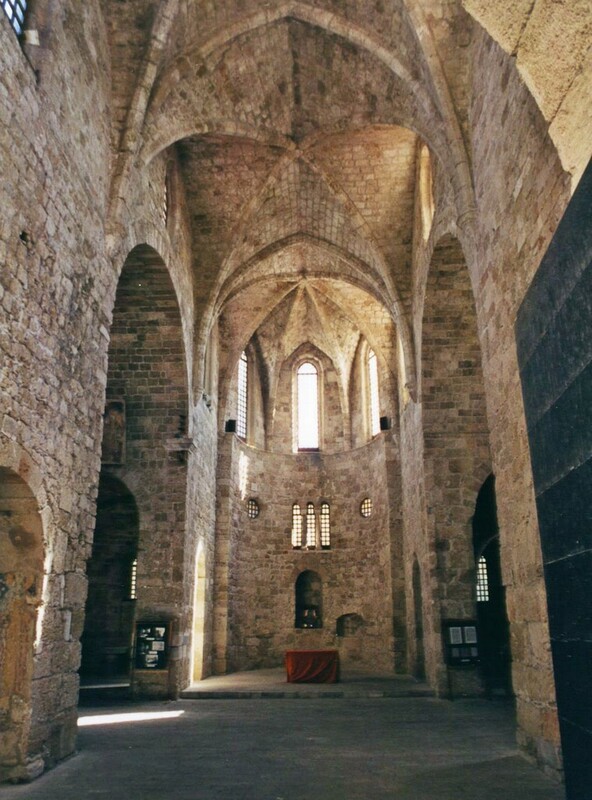 This is the Palace of the Grand Masters, which looks very impressive and medieval. However, the original was destroyed in an accidental explosion in 1856, and what is there now was built in the 1930s as one of Mussolini's fantasies. The Chirch of Our Lady of the Castle. The Mandraki Harbour, just at the New Town. 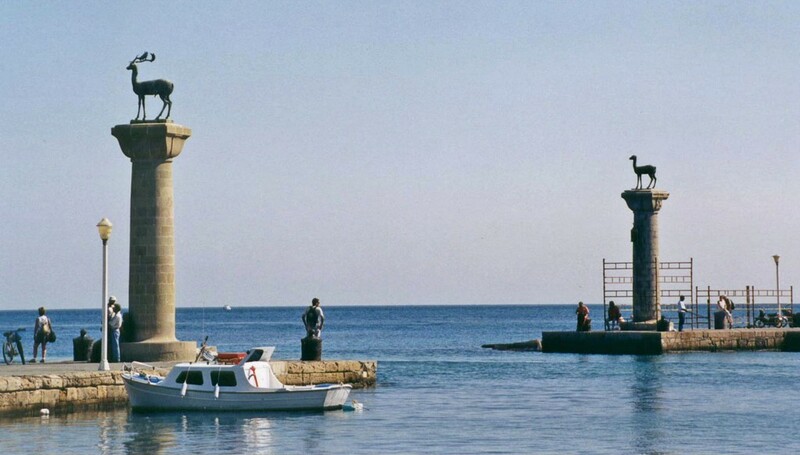 Some claim that the legs of the Colossus of Rhodes (a huge statue) were planted where the two columns now stand. There is, of course, no evidence for this claim. 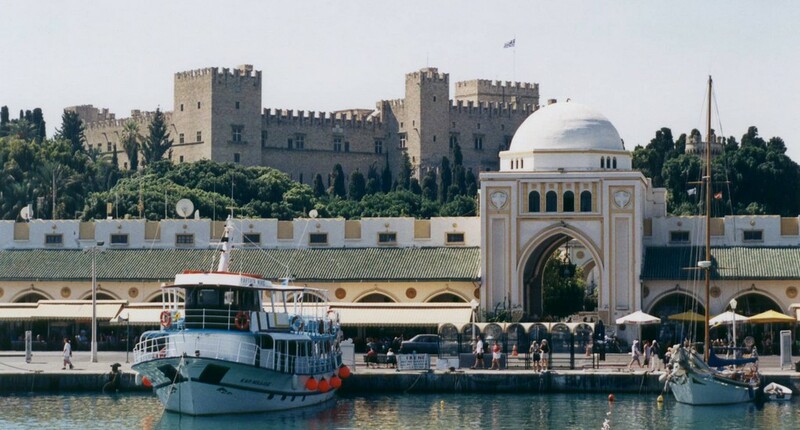 We took a short cruise along the coast from Mandraki Harbour. This was taken not long after we started off. The cream building just behind the waterfront is the New Market, built by the Italians in the 1930s. Behind it is that other Mussolini fantasy, the Palace of the Grand Masters. 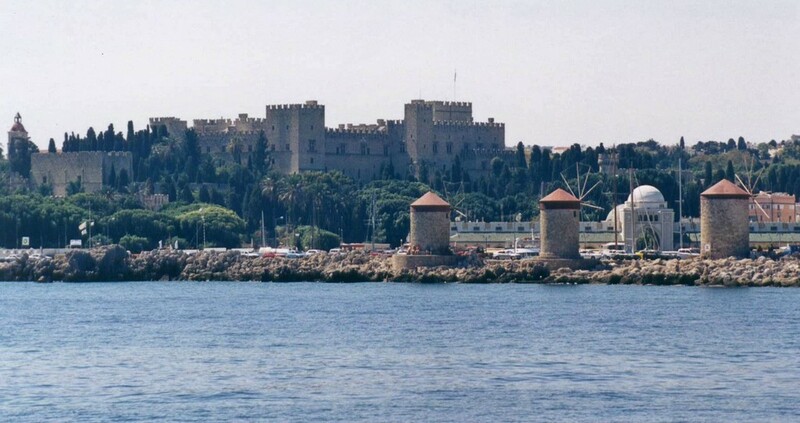 From further away, one can see windmills on the waterfront, the New Market, the Palace of the Grand Masters, and the walls of Rhodes. 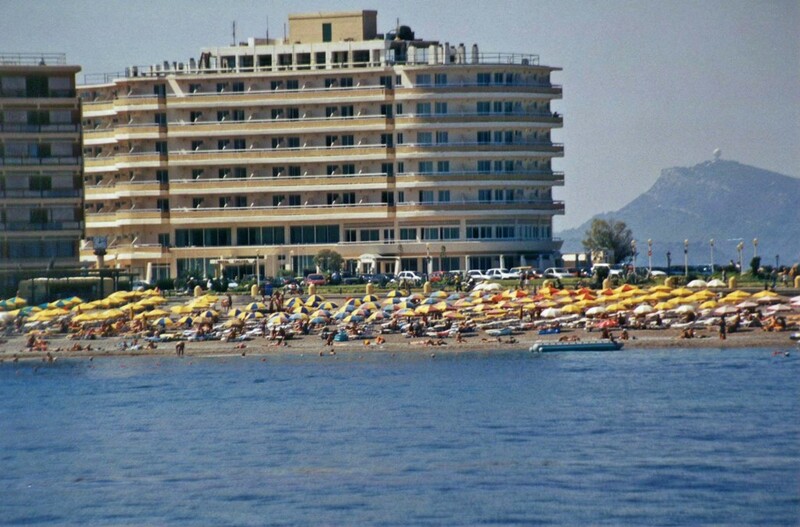 Once you get a bit away from Rhodes Town, all the seafront is taken up with huge resort hotels like this one. 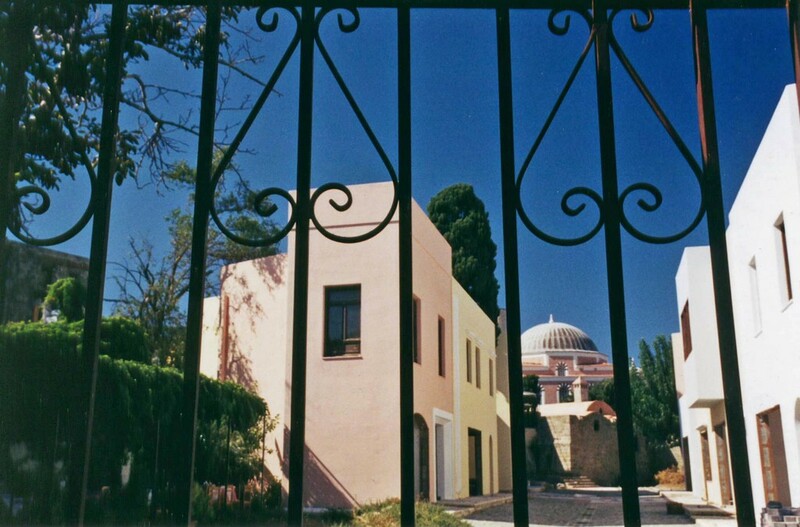 It struck us that people staying in these hotels would have had a very different experience on Rhodes from the one we had in the Old Town. 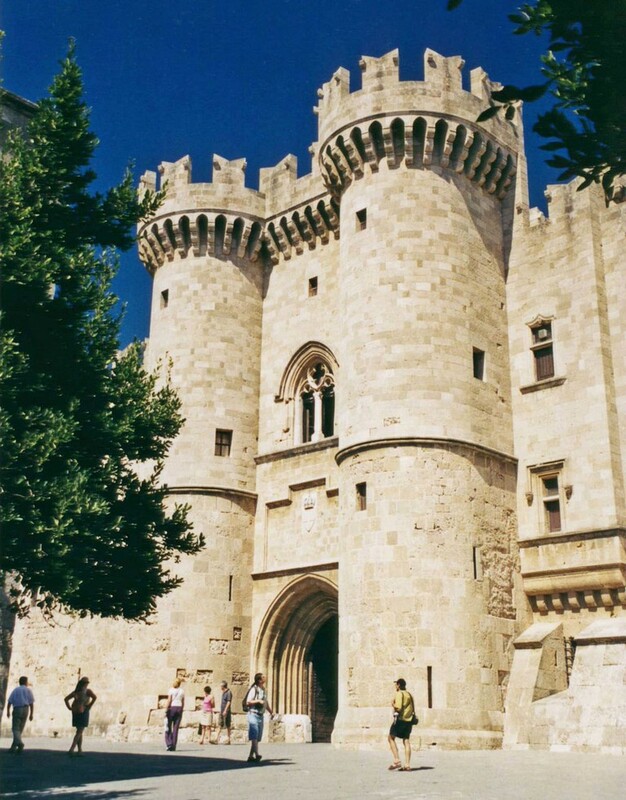 From Rhodes, we flew to Athens and had a one-night stay before taking a bus to Nafplion.